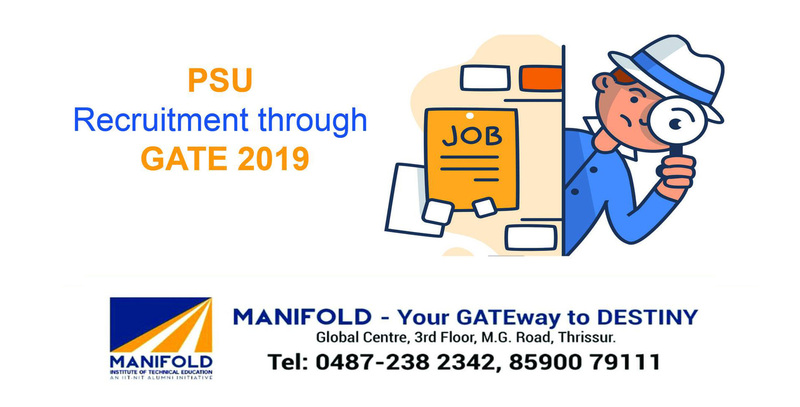 Many PSU’s are selecting new candidates according to their GATE score. PSU recruitment depends on the GATE score and mostly students passing out in the same year have an added advantage. For PSU recruitments, GATE score is valid only for 1 year . GATE scores are used to shortlist the candidates for PSU recruitment, but in some cases, the scores are considered for direct recruitment as well. This exclusively relies on the PSU’s and varies from company to company. For example, BSNL did not conduct any personal interview for its BSNL JTO recruitment, while NTPC conducted another test for further shortlisting their candidates. Apart from the legitimate GATE score in the applicable branch/stream, PSU’s may have other eligibility criteria like, the pass percentage or CGPA acquired during graduation, age limit, medical authentication to prove you are healthy/fit for the job. All Indian nationals are eligible for PSU recruitment through GATE 2019. Eligibility : Candidates who have legitimate GATE 2018 or GATE 2019 scores will have the eligibility to apply for this Programme. Non-GATE under graduate can also apply for the programme by applying for the the online test. Eligibility : Graduate engineers in Electrical, Mechanical, Instrumentation, Electronics and Mining engineers with Valid Gate 2019 Score. Graduates in Electronics, Electrical, Radio, Computer Science, Information Technology, Instrumentation Engineering on the basis of valid GATE 2019 scores . M.Sc. Degree in Electronics/Computer Science.